Lemon Loves Lime Spring 2014 - IN STOCK! In this post we will mention other spring 2014 preorders on boutique clothing for girls that we already have up on our website. 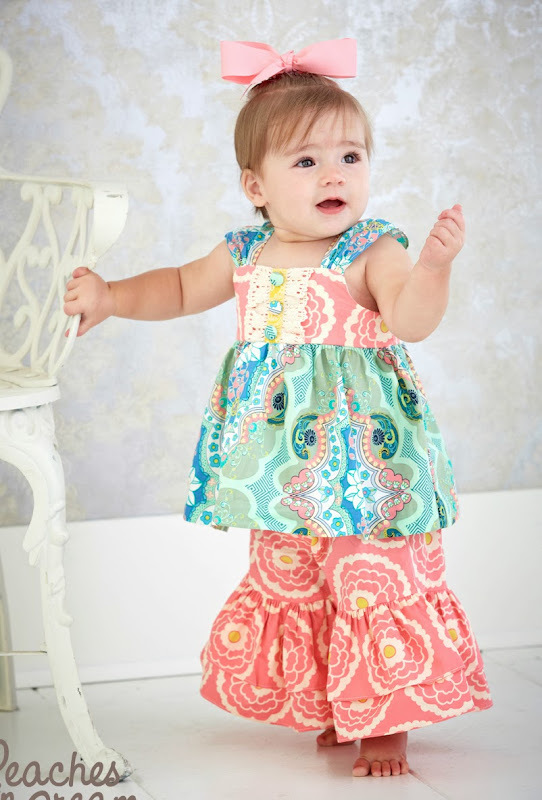 Launched just a few weeks ago, Giggle Moon spring 2014 collection has become one of our customers' favorite spring lines. The first release of Giggle Moon clothing included three collections: Green Pastures, Morning Glory and Weddings bells. These collections offer classic Giggle Moon designs in soft pastel colors perfect for Easter. So, if you are starting to look around for perfect Easter outfits for girls, make sure to check out Giggle Moon spring 2014. In addition, Giggle Moon introduced new body style. Some of the new styles are great as play-wear and others - as boutique outfits for girls ages 7 through 10. Paper Wings clothing spring 2014 has been a huge hit this preorder season. And we can see why! 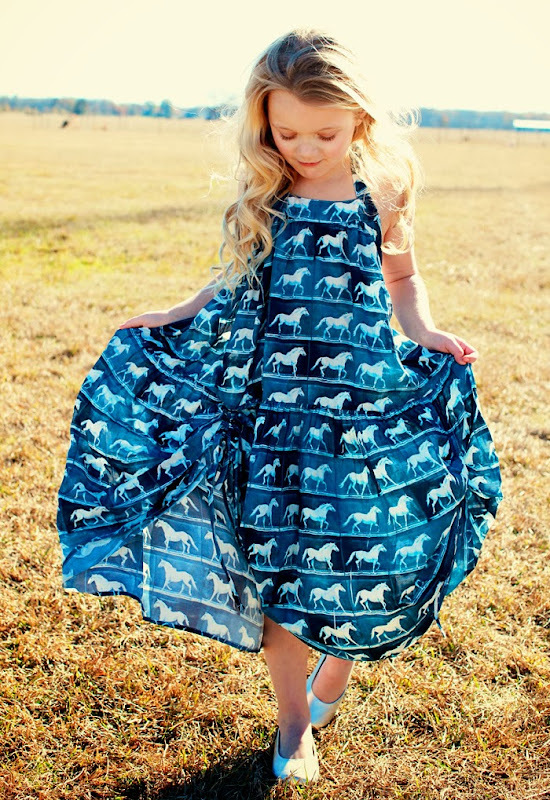 For spring 2014, Paper Wings clothingfound its inspiration in things girls love the most: horses, mermaids, birds and deers. Paper Wings spring collection is a fusion of classing Paper Wings clothing body styles with vintage- and tatoo-inspired graphics. Paper Wings Clothing - Spring Deer Cardigan and Paper Wings Clothing - Bluebirds Drawstring Bustle Dress have been on almost order with have received for this boutique girls clothing line. Joyfolie spring 2014 collection is a true eye-candy with its candy-inspired color pallet and sugar-sweet designs. 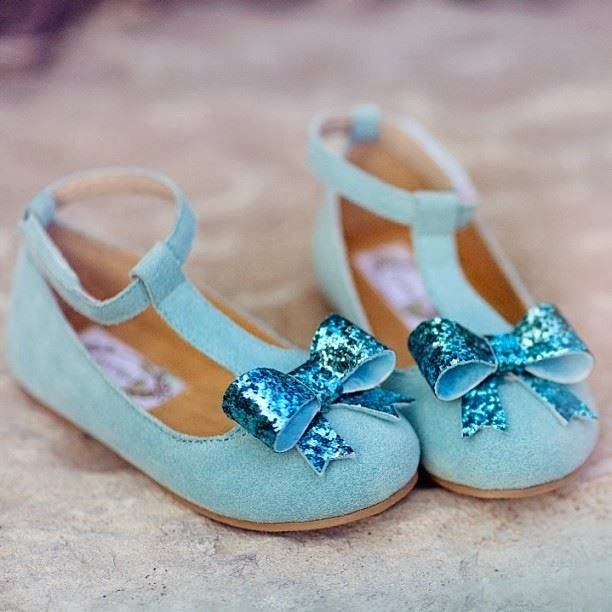 Joyfolie shoes are perfect for paring with your girls' Mustard Pie spring 2014 outfits and Persnickety Clothing Sail Away collection. Moxie & Mabel has long been one of our customers' favorite brands for Easter girl dresses. Moxie and Mabel spring 2014 is a whimsical collection of beautiful dresses that are designed for real princesses. Featuring full-body multi-layer skirts, clip-on butterflied and flowers, contrasting colors inspired by spring and classic Movie & Mabel dresses designs, this spring collection is a show-stopper. 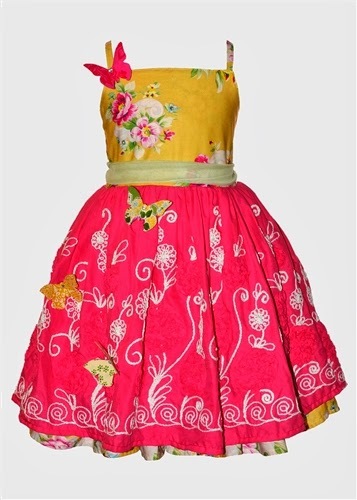 Moxie and Mabel dresses are also perfect as birthday outfits for girls and flower girl dresses. While Paloma dresses and Chrlotte dresses are classic Moxie and Mabel designs that the brand carries from season into season, stunning Lorelai dress and sweet Clementine dress are new to this collection of boutique girls dresses. 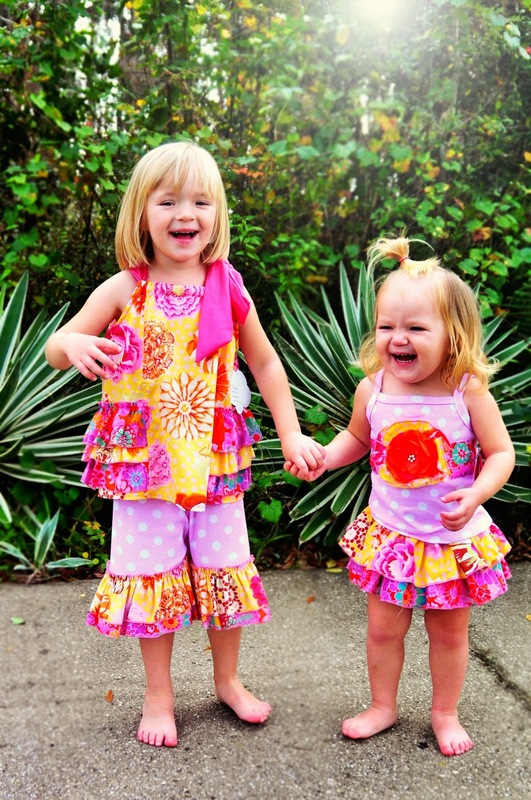 If you are looking for cute sister outfits, boutique ruffle pant sets and swing sets that are cute, versatile high-quality, then you should take a look at Peaches'n Cream clothing spring 2014 collection. Peaches'n Cream is on of those boutique girls clothing brands that is fancy enough for special occasions but comfy enough to be worn as play-wear. For spring, Peaches and Cream clothing came up with designs that will be worn as Easter outfits for girls all around the country this year. One of our personal favorite pieces is Peaches'n Cream - Tutu Tunic Set in Black White & Pink. What a cute Disney outfit will it make! This girl tutu dress an leggings set was designed for those picture-perfect moments during your family's Disney getaway. 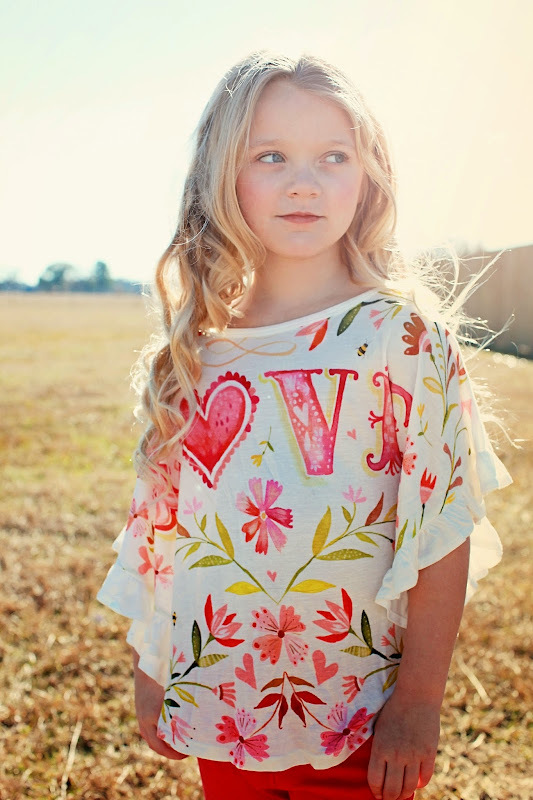 Haute Baby spring 2014 is a boutique girls clothing collection that offers traditional styling with an edgy twist. Haute Baby creates cute swing sets, diaper sets and boutique girl dresses that will appeal any fancy little diva. These cute kids clothes offer comfort without sacrificing style. If you have two princesses in the house, Haute Baby offers cute sister outfits that coordinate but do not match exactly. Designed and made in the United States, Haute Baby clothing is sure to become your girls' go-to outfits! Some Haute Baby spring styles are already in stock.